[9 mins.] 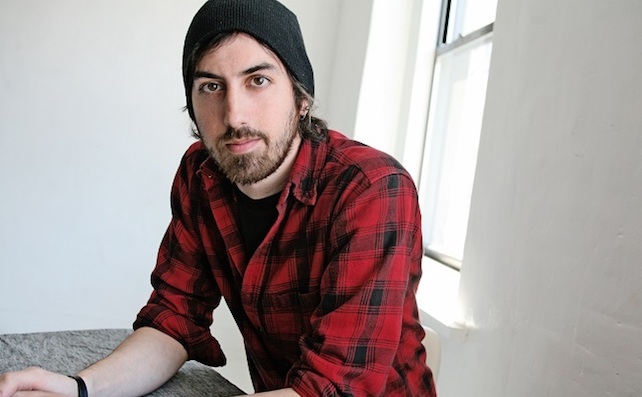 Ti West ("House of the Devil") discusses his latest, "In A Valley of Violence" which stars Ethan Hawke, John Travolta & podcast friend James Ransone. A mysterious drifter (Hawke) and his dog journey toward Mexico through the barren desert of the Old West. Hoping to shorten their trip, they cut through a large valley, landing in the forgotten town of Denton -- a place now known as a valley of violence. The once-popular mining town is nearly abandoned and controlled by a group of misfits and nitwits, including the seemingly untouchable Gilly (Ransone), the troublemaking son of the town's difficult marshal. [28 mins. 28 secs.] Returning for his 3rd appearance, filmmaker Joel Potrykus ("Buzzard") with his new film "The Alchemist Cookbook". An isolated man (Ty Hickson) lands in hot water when he summons an ancient demon in the backwoods of Grand Rapids, Michigan. [1 hr. 1 min. 1 sec.] Lastly, recorded from the 2016 Hamptons International Film Festival, the team behind the new documentary, "Davi's Way", with actor Robert Davi & director Tom Donahue. Singer & actor Robert Davi has one year to re-create Frank Sinatra's 'Main Event' concert in Madison Square Garden on Sinatra's 100th birthday.